This week has been a whirlwind... if you're a Stapleton artist. That's because we've been working all summer making this weekend happen. And now it's almost here! 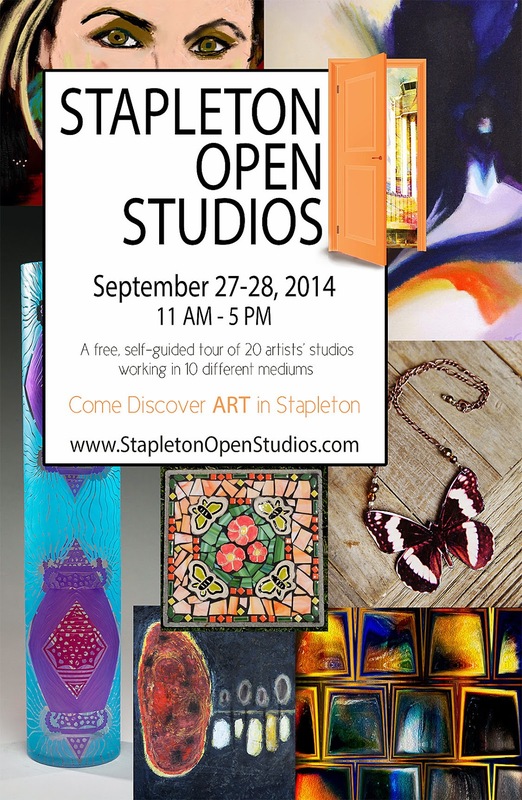 The second annual Stapleton Open Studios! The (FREE!) self-guided tour will be September 27-28, 11AM – 5PM. Drop in to any or all of the studios on the tour, and stop to listen to local musicians along the way. There will be demonstrations, works-in-progress, and finished art pieces for you to see as the artists welcome you into their artistic process in an up close and personal way. There are 20 different artists working in 10 different mediums from classic oil painting to mosaic to pottery to mixed media art jewelry. Come get a start on your holiday gift lists, or just come see how we do it. We can't wait to meet you! Drop by Art & Framing At Stapleton in the 29th Avenue Town Center this week to grab your free official tour booklets and see a preview exhibit from many of the artists on the tour. 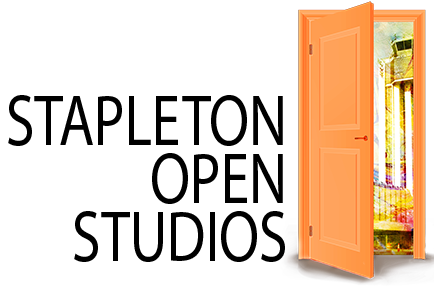 Or visit our website – StapletonOpenStudios.com – for a map. Katie Bradford Osborne is a Stapleton Mom and local professional artist. She graduated from the Art Institute of Philadelphia with a degree in photography in 2009- the same year her daughter, Ana Gray, was born- and now pursues her passion of shooting women including maternity, boudoir, and her very favorite- Empower Her portraits- along with logo design and mixed media jewelry art under the umbrella of her business- The Roaring Artist. Katie also offers Mamarazzi workshops and personal classes to local moms with DSLRs who are interested in more in-depth knowledge of their cameras and how to capture their children from behind the lens.